The town of Woodstock is located in Windham County in the northeast corner of the state. Originally settled as part of Massachusetts, in 1749 Woodstock incorporated and became part of Connecticut. During the 18th century, it was primarily a farming community. In the 19th century, it developed its share of industry and was known for its shoe factories. 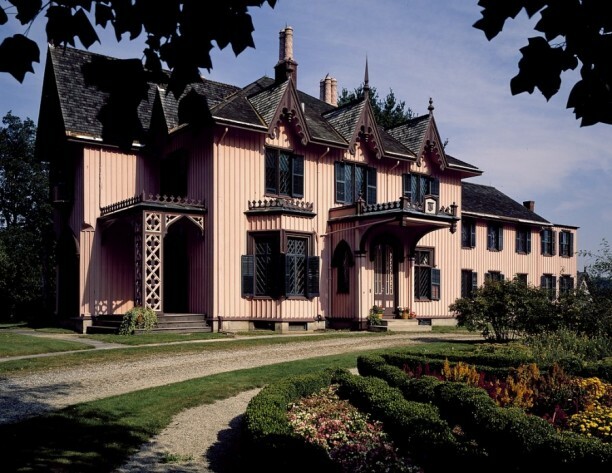 By the mid-1800s, however, it had reverted back to being largely a farming community and also became a popular summer destination for wealthy east-coast families. Today, Woodstock is the second-largest town in Connecticut and is known for Roseland Cottage, the former summer home of wealthy businessman Henry Bowen. “Quinebaug & Shetucket Rivers Valley National Heritage Corridor.” US National Park Service, 2017. Link. “Roseland Cottage.” Historic New England, 2017. Link. “Woodstock Historical Society,” 2017. Link. “Broadside - Fugitive Slave AD - Ten Dollars Reward!,” 1803. Connecticut History Illustrated, Connecticut Historical Society. Link. Lester, John S. “Map of Woodstock, Conn., 1883.” Topographical. Boston, MA: Heliotype Printing Company, 1886. University of Connecticut Libraries, Map and Geographic Information Center - MAGIC. Link. “Woodstock - WPA Architectural Survey.” Connecticut State Library Digital Collections, 2017. Link. Woodstock Historical Society, and Cheryl Wakely. A Journey Through Woodstock, 1686-2011. Woodstock, CT: Donning Company Publishers, 2011. Lynn, Paul. Just a Thought. Woodstock, CT: Frost Hollow Publishers, 2008. Oliver Wendell Holmes Collection, and Clarence Bowen. Woodstock: An Historical Sketch. New York, NY: G.P. Putnam’s Sons, 1886. Link.